Mirah Belle introduces unadulterated, pure fragrance oils that improve the health of your skin, hair and body. These 100% Pure Essential Oils offer a variety of benefits from cosmetic, dietary purposes and are known for their healing effects mentally, physically and emotionally. 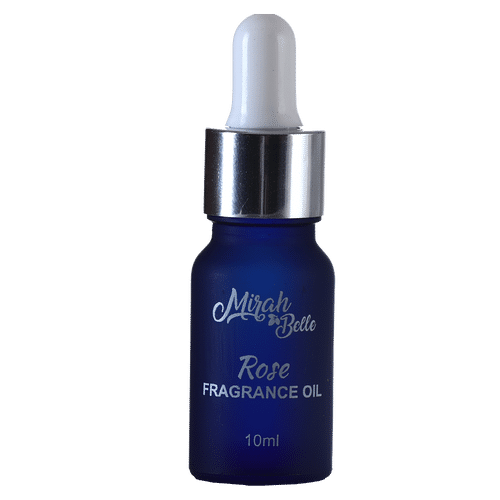 Mirah Belle's Rose Fragrance Oil has amazing health benefits. It is antiseptic, antibacterial, and anti-inflammatory in nature. helps to relieve you against depression and anxiety, great for skin care keeping wrinkles, pimples, acne and scars at bay. Also keeps hair moisturized and frizz-free too. It is suitable to be used on skin and hair. Explore the entire range of Essential Oils available on Nykaa. Shop more Mirah Belle products here.You can browse through the complete world of Mirah Belle Essential Oils .